This entry was posted in Kid stuff and tagged brushing hair, dad, dad and daughter, daughter, family, kids, stay at home dad, toddler. Bookmark the permalink. My Grandad used to love brushing my hair when I was a little girl. He would always do it when me and my brother went to stay at his house. My Grandmother would beg him to let her do it, but he always insisted it was his job. I loved that time with him. I would never admit this in public, but I miss those days. I bet your daughter will miss those days when she is a grownup too. Thank you, glad you enjoyed it? If your Grandad is still alive I’d tell him that. It would melt his heart. He is still alive. Unfortunately, family circumstances (ie. A bit of a falling out between him and my mum) mean I don’t really speak to him anymore. That explains the not saying it out loud part. I’m sorry to hear that. Family is tough sometimes. My family is going through a similar thing. Hopefully it works out. The last time I had someone brush my hair (besides stylists) was when I was very small. Mum was brushing it and hit a snag and I hit her. She calmly removed the brush and I was taken to meet a lady with a scissors. Your girls will have sweeter memories! The whole brushing hair thing is weird to me because mine is short. It gets dried with a towel and then that’s it. It’s weird that a simple act can be very powerful. I loved this is was soo sweet. 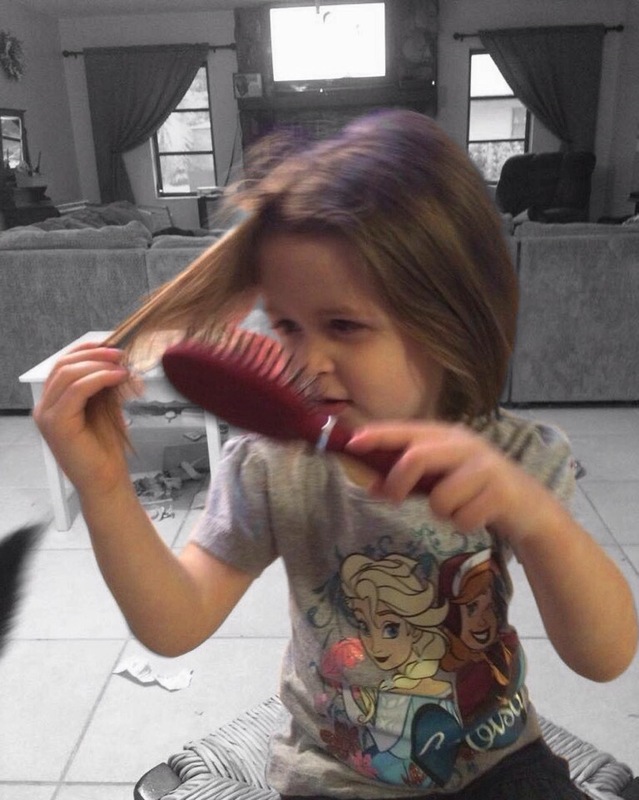 My daughter has very fine hair and we had years where it was painful to brush and we eventually heard about a special brush which did the trick. Thanks for the comment. My daughter and I will definitely check out the pictures. Have an awesome weekend. Very good post I commend you on your journey of an stay at home dad I give you 10 stars most men could not take and would not every dream of taking on that responsibility! Great job and I certainly look forward to following your blog 😍 Oh and you have such a beautiful family! Thank you so very much for such kind words. I’m not going to lie, it can be rough at times but very worth it.